Unique in its beauty and existence the Okavango Delta is a must for all visiting this remarkably diverse country. Its summer rains create one of Africa’s greatest concentration of wildlife. Thus the delta boasts a huge variety of bird, mammal and fish species making it a viewing delight for all. 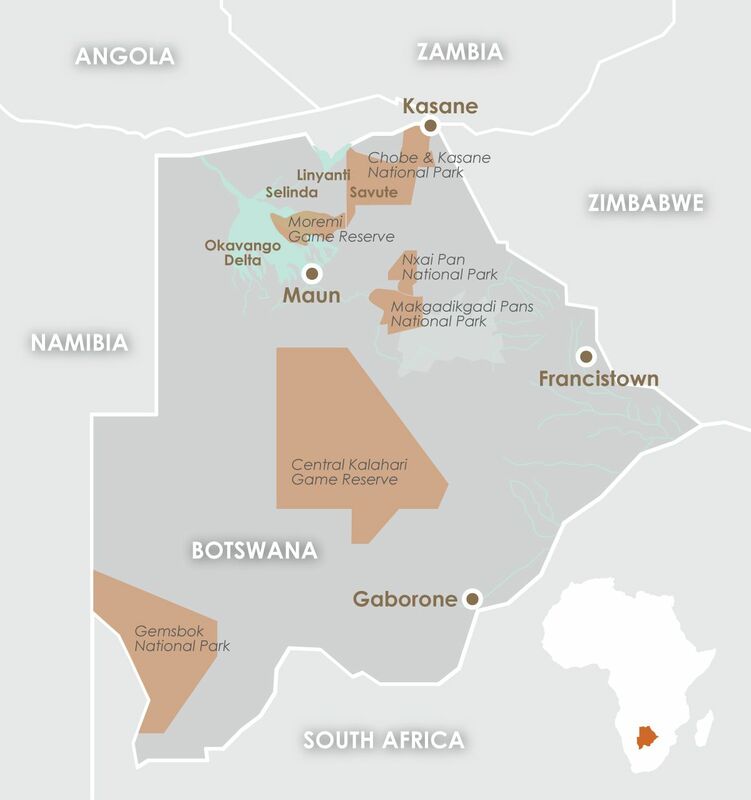 On the eastern side the Okavango Delta borders the Moremi Game Reserve, which allows travellers the great opportunity of staying right in the middle of the action. This region offers exceptional views of savannah game as well as the chance to look to the skies and beyond. Whilst floating along the lagoons in a traditional Makoro one may even spot a leopard. The best time to experience this untouched beauty is between July and August. Then the days are bearable in heat and the nights are calm and beautiful with just a slight chill in the air. From October to March temperatures go up to even 40 degrees Celsius. October is also a crucial time if birds are your passion. Yet one never knows what they shall experience due to the eco system. Highlights include the famous Chiefs Island and Moremi Tongue, two remarkable elements adding something special to the reserves location. Within Chiefs Island lies the renowned Xakanaxa Lagoon. This lagoon possesses mopane forests, a collection of deep waterways and shallow flooded areas, which provide various locations for game to thrive. The region is famous for its exceptional safari and wildlife experiences. One is able to view all types of species in a single time frame: from elephant, giraffe, zebra and buffalo to all the major predators including crocodile, lion and hippo and over 400 species of birds. The delta aims to wow all.